Are you struggling with old and fresh acne scars? Does your skin lack radiance and you’ve tried it all? Today we’re talking about rosehip oil for acne scars. One of the extremely popular natural ingredients on the list of Native American remedies, rosehip oil seems to have it all. Whether you’re looking for a natural anti-aging oil or something that will boost the health of your skin, giving you a healthy glow. 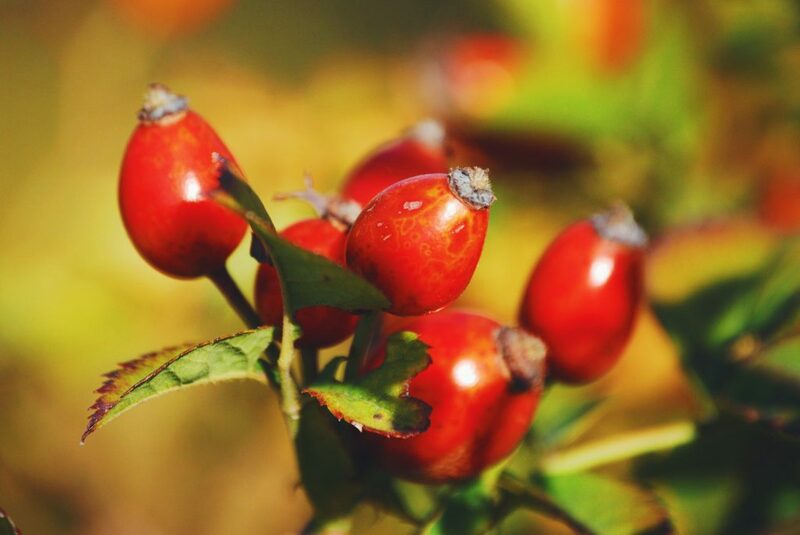 Rosehip oil has taken the beauty world by the storm and it seems it’s here to stay! 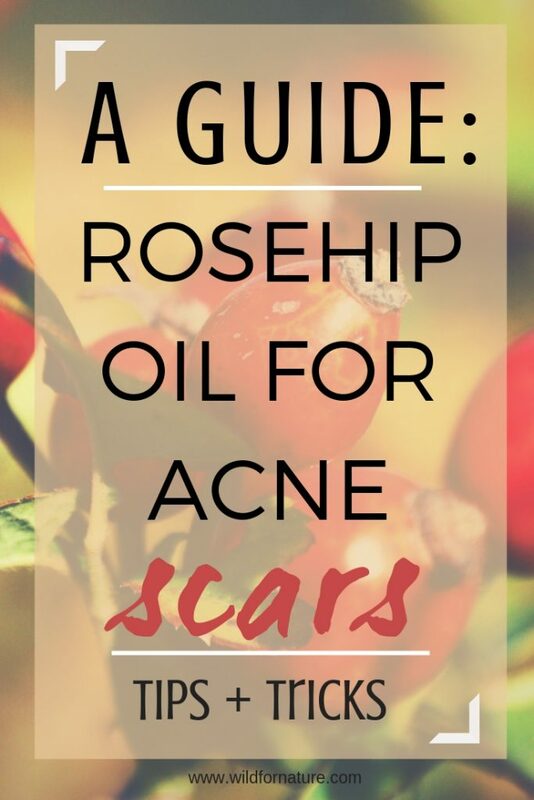 Let’s have a look at how you can benefit from rosehip seed oil for acne scars! *Some of the links in this post might be affiliate links. Affiliate links come at no extra cost to you. These links allow me to share the products I authentically recommend (and use) and support Wild for Nature by receiving a small commission. Can rosehip seed oil remove old scars? 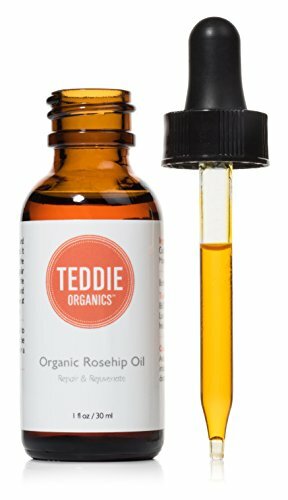 How to use rosehip oil for scars? 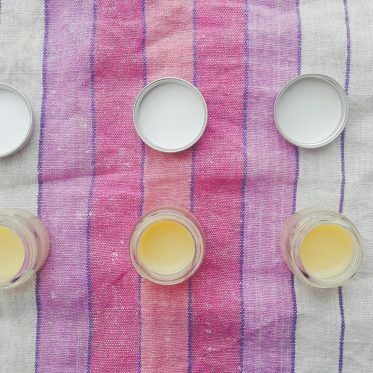 Today we’re talking about rosehip oil: acne scars remedy. Rosehip oil has a number of other benefits and you should consider adding it to your skincare regime even if you’re not dealing with acne or any other serious skin conditions. This seed oil can help you smooth fine lines, aid with wrinkles, dry or damaged skin. It’s even recommended for sensitive skin! Definitely add it to the list for next time you’ll need a nourishing and multi-functional oil. We’ll talk about using rosehip seed oil below, but due to all positive benefits of rosehip, it’s no wonder it became one of the extremely popular ingredients in all sorts of beauty process. Rosehip or rosehip seed oil is a natural oil obtained from Rosa Rubiginosa or Rosa Moschata wild rose bush by cold pressing the fruits and the seeds of the plant. You know, the red berry-like fruits that pop up everywhere in the autumn? Well, that’s rosehip fruit! Both very beneficial and very valued oil, rosehip is a red-golden elixir of youth that possesses a number of healing powers. Think a magic potion. Even if you browse rosehip oil reviews, people cannot seem to get enough of it. Rosehip oil contains a provitamin A, which is an antioxidant, beta-carotene. 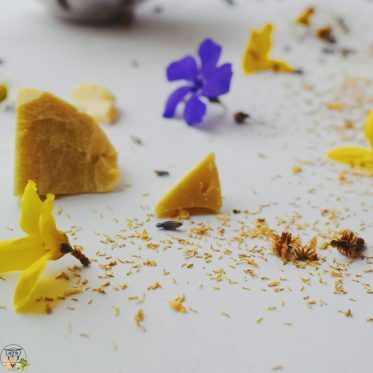 Apart from that it also contains vitamin E. On the contrary to the general misconception, rosehip seed oil doesn’t contain any vitamin C. The fruits themselves are loaded with it, which is why the rosehip tea is very beneficial, but the oil does not. Moreover, rosehip oil is rich in essential fatty acids, such as omega-9 (oleic) omega-3 (alpha-linolenic acid) and omega-6 (read why linoleic acid is important for our skin here) as well as a trans-retinoic acid, which is tretinoin, a topical form of vitamin A. Due to high antioxidant consistency, rosehip oil successfully protects the skin from the free-radical damage. All the essential fatty acids (oleic, palmitic, linoleic, and gamma linoleic acids) help to regenerate skin cells and slow down the signs of aging. Natural remedy lovers, followers, and organic skincare aficionados, all recommend and praise rosehip oil for its magical and anti-inflammatory, antioxidant and antibacterial properties. All of the claims about rosehip oil for acne scars aren’t made out of thin air. There have been studies and research to prove its effectiveness (see below for more info). One of the most sourced studies on rosehip oil acne scars problem is a study from the early 1980s conducted by a doctor Fabiola Carbajal Montiel in Chile. I was not able to find the whole study online, but you can have a look at the summary (and photos) here. 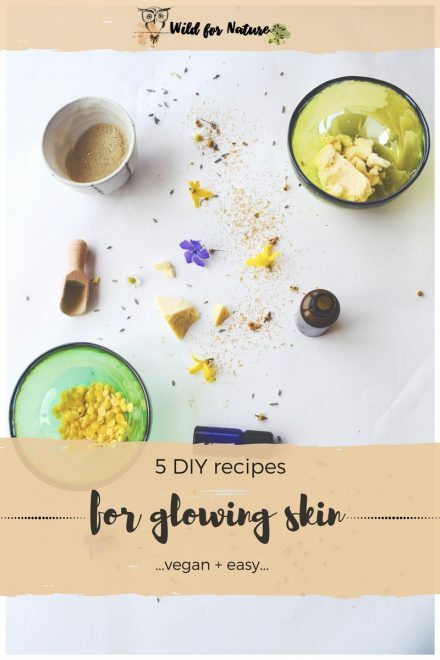 In her study, the doctor tested rosehip oil for acne scars, deep wrinkles, UV damage, burn and surgical scars, dermatitis, and other skin problems. Over 4 months of rosehip seed oil application, the results were amazing. Minimized scars, healthy and rejuvenated skin, and much more. If you have tried everything else, this amber liquid is definitely worth a shot! With regular use of rosehip oil, the skin becomes smoother. Also, the scars fade with time. This amber liquid helps to tone the skin, minimizes flakiness, and soothes irritation. How long does it take for rosehip oil to remove scars? Some users say the acne scars begin to disappear after two to three weeks. For some older scars, it might take longer. In any case, the overall results are impressive. Many online skincare blogs and websites praise this magic liquid. It definitely can make an amazing improvement, but make sure not to give up right away. 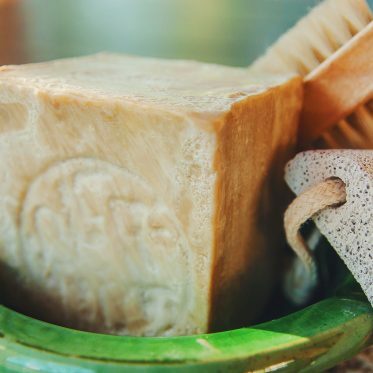 With the natural products, it sometimes takes time to see the changes, but just think about how many beneficial nutrients you are adding to your skin! Due to a high fatty acid content that boosts the rejuvenation of the skin, as well as regeneration, rosehip seed oil has become a popular natural remedy for scar treatment. This golden reddish oil has the ability to restore your skin’s health and boost its healing process. There have been some scientific studies and research on the influence of rosehip oil on post-surgical scars (you can get the whole pdf of this study here) as well as studies on the premature aging of the skin. In all cases, rosehip seed oil helped to regenerate the skin. If you want more proof, head online and search numerous online reviews with rosehip seed oil for acne scars before and after photos There are many people who claim rosehip oil has drastically improved their skin and its overall health. 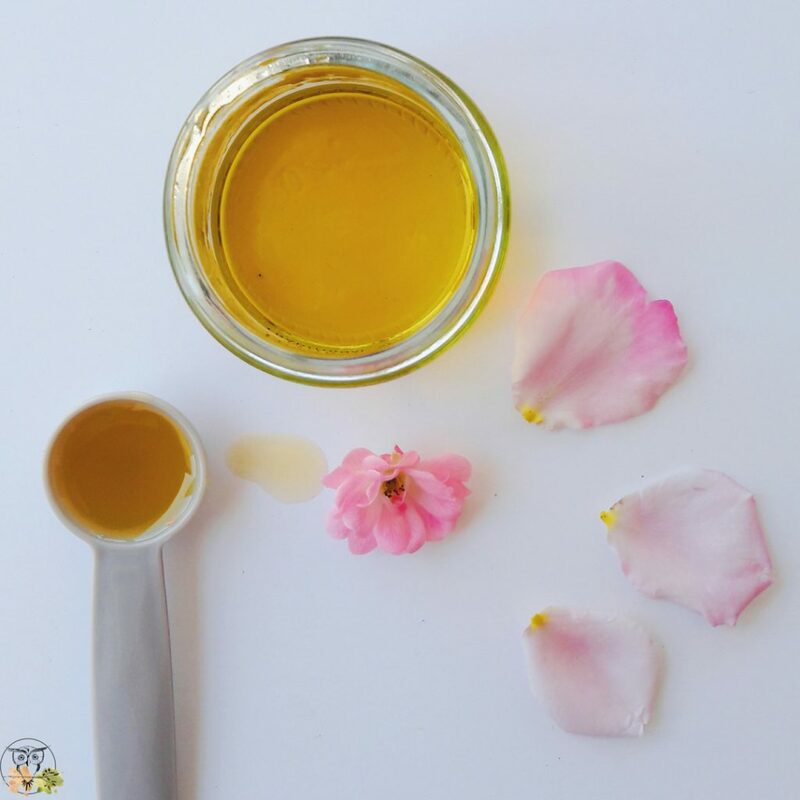 When applied topically, rosehip seed oil is a great addition to any homemade skin care recipe. You can apply rosehip oil plan, just as it is, on a cleansed and clean skin. The best way to do so would be before bed, so the oil can work its magic during the night. 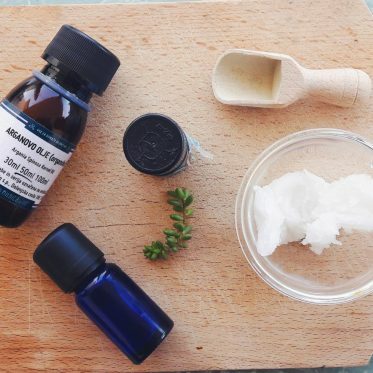 For an additional boost, you can also make a natural skin serum for acne scars. By combining other carrier oils with rosehip oil, acne scars should disappear even more effectively. Other carrier oils you could use would be jojoba oil and hemp seed oil (read more on hemp seed oil skin benefits here). How to use rosehip oil for acne scars? To make your own serum, follow the measures and instructions of my natural skin serum here. The essential oils are additional, but you can choose any of the top essential oils for acne scars from the list above. Rosehip seed oil does not smell like roses. It’s not made from the flowers but extracted from the seeds. People smell of sorts of things in it, but it should be somewhere between cold tea, straw or hay smell, even a bit like autumn leaves, or nutty. Rosehip oil should come amber, reddish or orange in color. The color indicates a high vitamin A content. If the oil is pale (argan or castor oil color) it’s either oxidized or a low quality oil. Teddie Rosehip oil comes from the fruits harvested in the mountains of southern Chile. The natives all over the American continent have used rosehip oil for skin for the skin as well as health benefits. This oil comes in two options: 1 oz and 4 oz bottle. Moreover, you also get a free guide on how to use rosehip oil with your order. 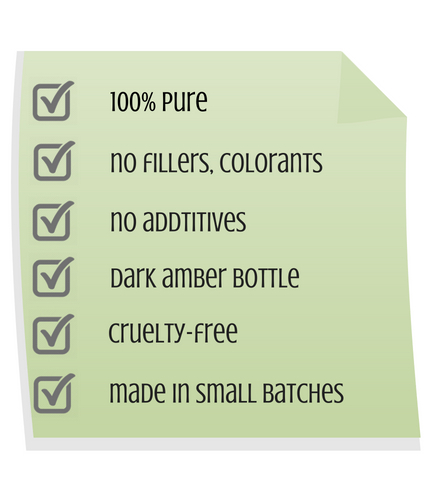 Teddie organics oil is made in small batches; the company wants to assure quality over quantity. The company claims this oil is organic, but it hasn’t been USDA certified. They have been in the process of certifying the product, but they changed the supplier in the meantime. The product is still not certified. Also, I have not been able to find the company’s website. Fushi organic rosehip oil is a very light oil. 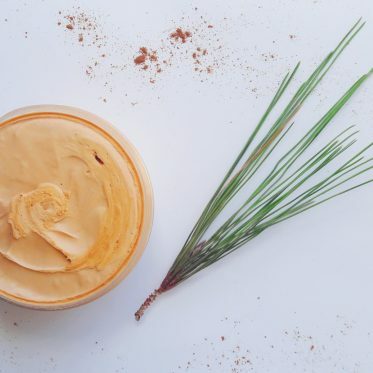 Rich amber color, the oil absorbs easily and it’s an excellent natural moisturizer. You can easily combine it with other carrier and essential oils, or use it on its own. This oil was tested for vitamin A and E content (according to Fushi website). Each bottle is made from 2 kg of premium rosehip seeds (Rosa Canina) from the mountains of Ukraine. 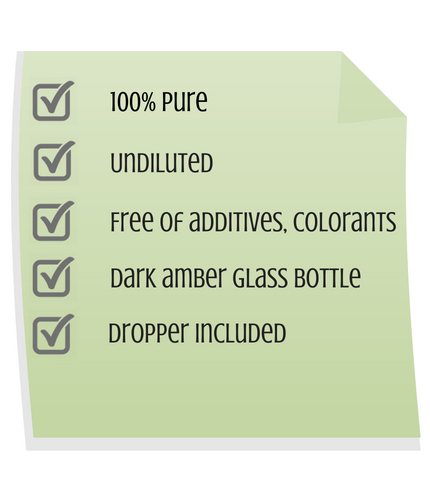 The oil comes in a 100 ml bottle. Fushi rosehip oil comes from Fushi Wellbeing company. 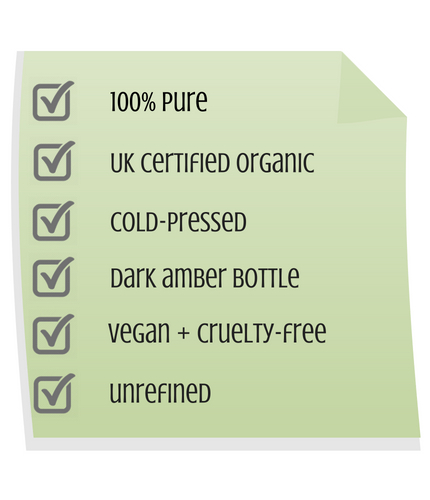 They claim their products to be organic, ethically produced, sustainable, pure, cold-pressed or freshly-ground. Quality is their very important priority. 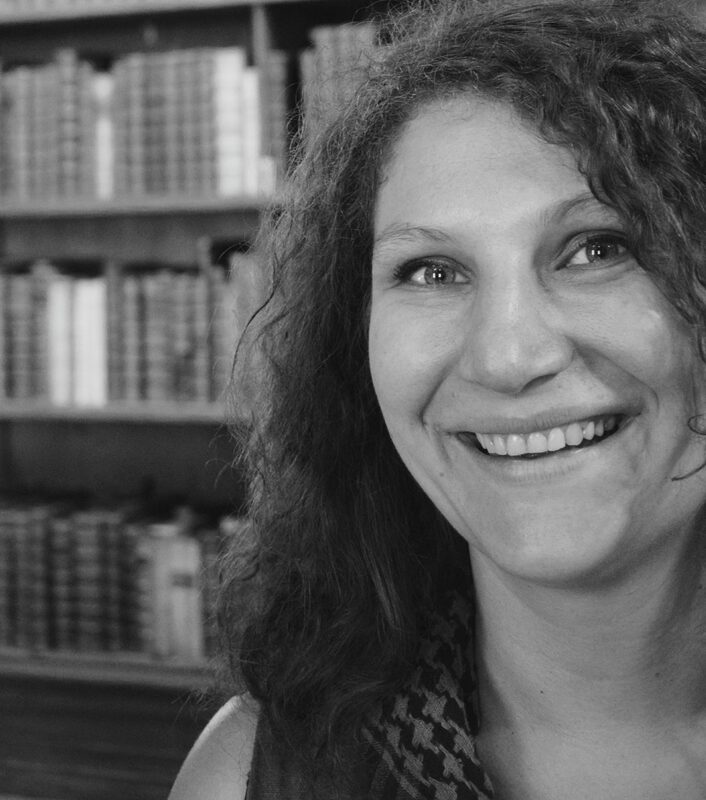 You can read more about Fushi Wellbeing here. 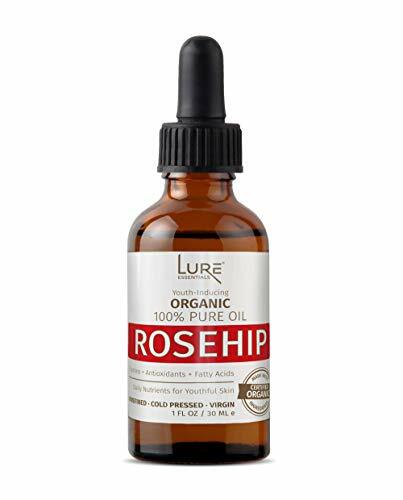 Rosehip oil by Lure is of amber, dark-orange color. Great for all skin types, this rosehip oil boosts elasticity and helps to soothe skin conditions as well as minimize acne scars. The oil makes skin glow, keeping it hydrated and healthy. The oil comes in a 1-ounce bottle. ultimately restore muscle mobility, enhance flexibility, and deliver a vibrant, youthful, radiant appearance, along with lean, toned body. You can read more about Lure here. What’s your favorite rosehip oil skin benefit?